Silent Sky Project#9 May 9th 2006, 12.20 – 12.50 am, 31 participants, Utrecht, The Netherlands. 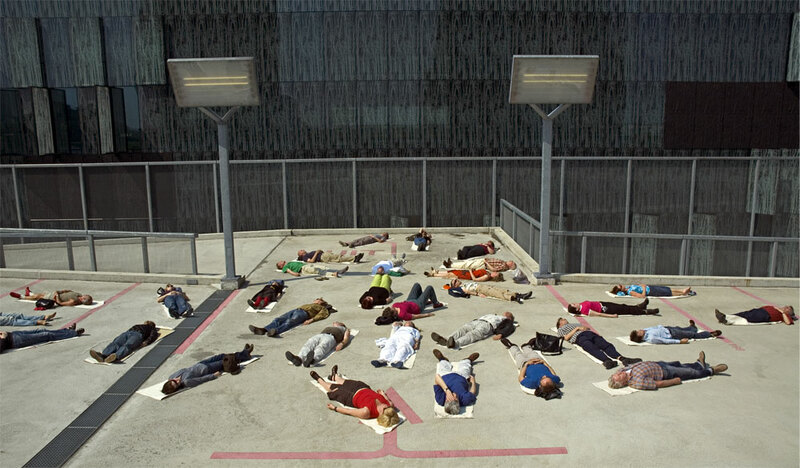 Employees and students of the Utrecht University participated in the silent conversation with the sky. The location is on the roof of the parkinggarage next to the university library. 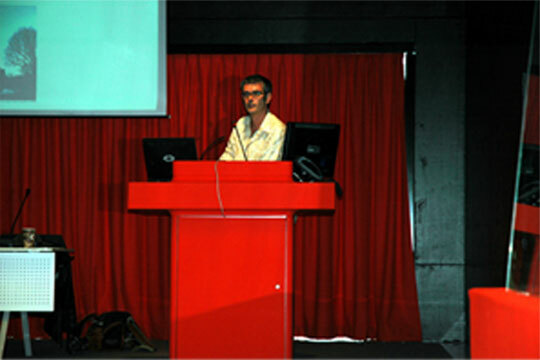 Prior to the action a lecture was given at the university about the silent sky project# and other artworks. 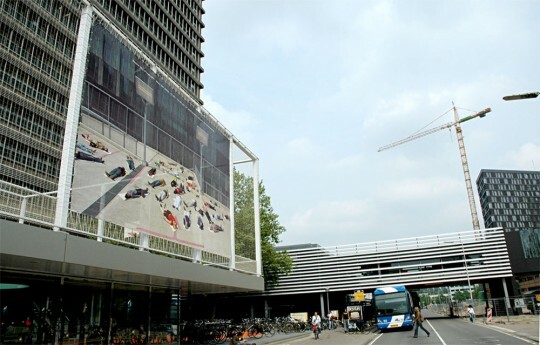 The picture is a computerprint of 10 X 6 meters. Presented in the center of the universitycampus. May 12 th until june 21 th of 2006. The project was part of a larger show: The Family of Man. 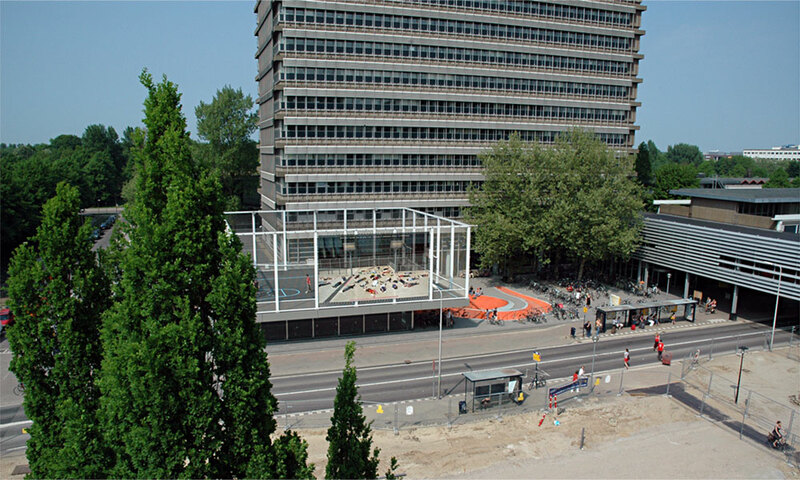 Thanks to the exhibition organisation SKOL and the University of Utrecht.